Stradley Ronon Connections — Chaka Fattah has done his part to uphold the sterling reputation of Pennsylvania’s congressional delegation and the state’s 2nd Congressional District is now vacant with his resignation stemming from his convictions of RICO Act violations and other crimes. 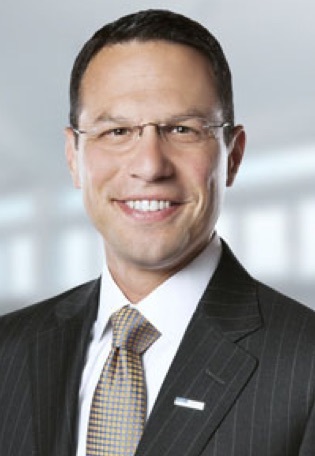 Among those found guilty with him was Herbert Vederman, a long-time Democrat man of influence who is still listed at ZoomInfo.com as senior consultant for the Government and Public Affairs Group at Stradley Ronon Stevens & Young, a Philadelphia law firm. Think he knew Val DiGiorgio? Val is the Chester County Republican Party chairman who chairs Stradley Ronon’s banking and public finance sections and includes Government and Public Affairs as part of his “focus”. 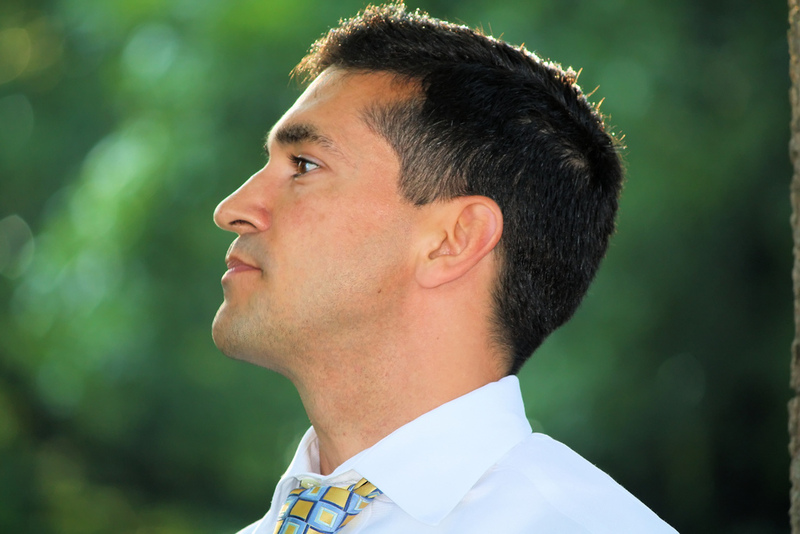 Val is thought to have the inside track to be the next chairman of the state Republican Party. Wonder if Vederman knew Josh Shapiro. Josh, who chairs the Montgomery County Democrat Party, is counsel at Stradley Ronon. He is this year’s D candidate for state Attorney General. Josh and Val are friends. Josh got Val’s wife a $105,000 a year job with Montgomery County. Stradley Ronon sure has a lot of interesting connections. You really think these people are looking out for you? You really think anybody in the leadership of either party gives a rat’s tail about you? 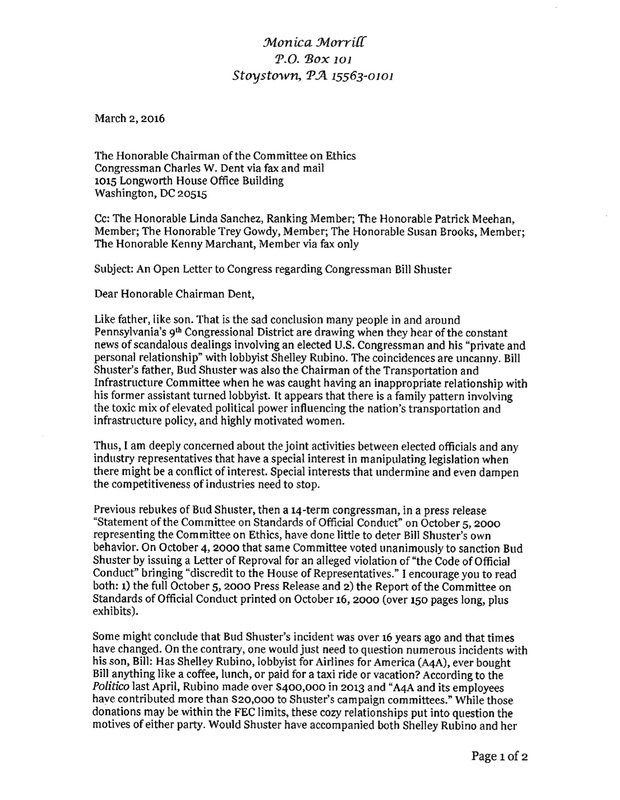 Shuster Slammed In Open Letter — Bill Shuster, the congressman who has represented Pennsylvania’s 9th District since 2001, is in a Republican primary battle with businessman and retired Coast Guard helicopter pilot Art Halvorson. There is a good chance that Shuster — who “inherited” the seat from his father, Bud, who had held it since 1973 — will lose. 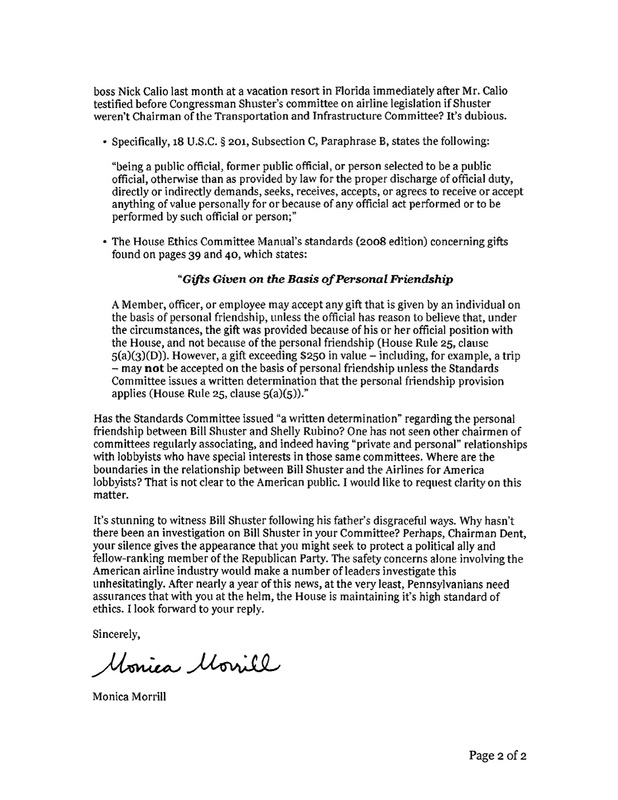 Monica Morrill of Stoystown, who was formerly a constituent of Shuster, explains why in this open letter she sent to Congressman Charles Dent (R), another Pennsylvanian who represents the state’s 15th District and who chairs the House Committee on Ethics. 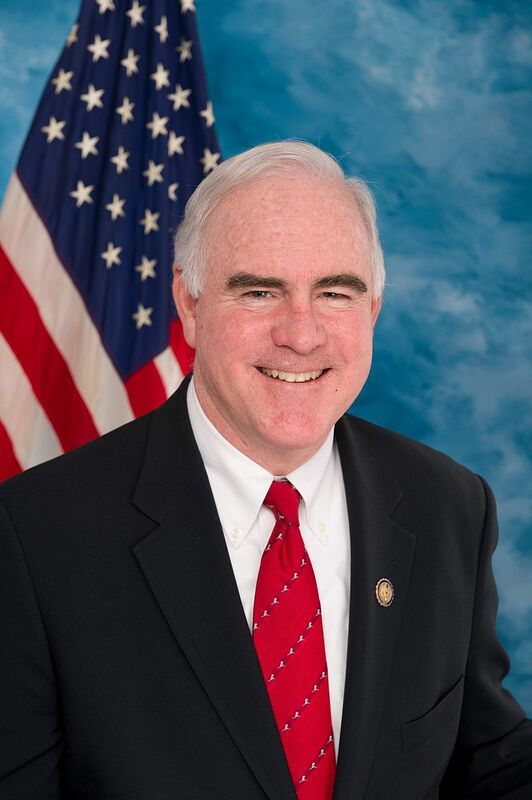 Note that it is cc’d to Congressman Pat Meehan, (R-Pa7), who is also a member of the committee and whose district includes most of Delaware County. Click on the link for a readable copy. Poor Congresspeople — We’ve all seen lists of the richest congresspeople, but there are some for the poorest among them as well. Can there really be poor people in Congress? The congressional salary, after all, is $174,000 not including benefits. “The 10 on our list have millions in debt among them — from business loans to credit cards to unpaid attorney fees related to an impeachment,” RollCall.com explains. The site notes, however, that determining “minimum net worth is an inexact science” and that several on the list have multiple homes and other assets not generally associated with the poor. Palmer Gibbs of InsideGov.com has also compiled a list of the poorest albeit with 25 names. Some are the same, some are not and the order and valuations are different. It contains explanations for Valado’s and Hastings’ problems — namely Valado’s family dairy farm debt and Hastings 1988 bribery impeachment as a federal judge — who again hold the the first and second places. While Fattah is the only Philly area rep that Roll Call lists, InsideGov omits him but includes Chester County’s Rep. Ryan Costello (R-6) in 11th place with a worth of -$47,944 and Philadelphia’s Brendan Boyle (D-13) in 17th with a worth of -$24,997. Halvorson took Shuster on in 2014 Republican race getting 35 percent of the vote to Shuster’s 53 percent. Also running was Travis Schooley who got 13 percent. Former GOP U.S. Senate candidate Tom Smith had expressed interest in a primary challenge to Shuster but had to drop out due to health reasons. Halvorson, who was backing Smith this go around, said he would step in for another shot. He is dedicating this race to Smith says PoltiticsPa. Shuster is embroiled in a scandal, namely he was caught dating an airline lobbyist last April. Shuster chairs the House Transportation and Infrastructure Committee. Shuster replaced his father, Bud, in a special election in May 2001. Bud Shuster has represented the district since 1973. 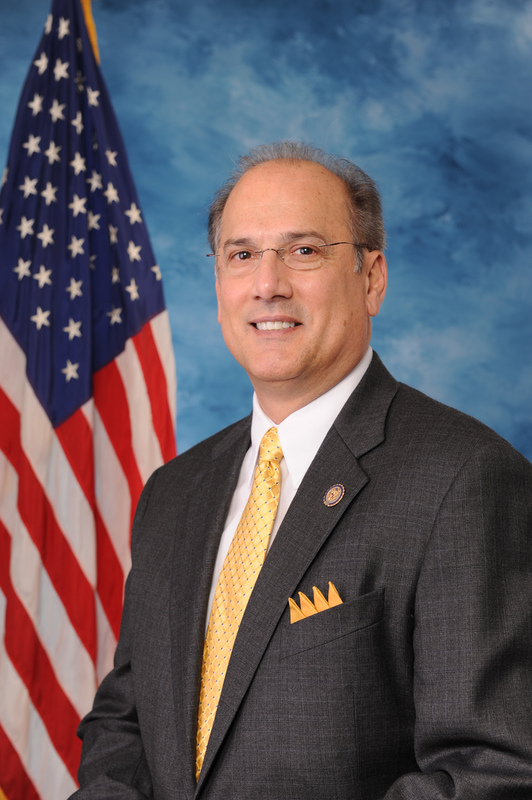 Congressman Tom Marino (R-PA10) has proposed a Constitutional amendment to limit terms of federal legislators. Kudos to Congressman Tom Marino, the Republican who represents the 10th District of northern Pennsylvania, for his ceaseless push for federal legislative term limits. Marino is seeking a Constitutional amendment that would limit senators to two six-year terms and members of the House to six two-year terms. Marino has introduced this idea twice in the last four years. USA Today ran a column by Grove City College professor Paul Kengor on Oct. 29 describing how the GOP-congress actually did manage to cut spending — and for two straight years. Kengor says he was inspired to write it after hearing Congressman Tim Murphy (R-Pa18) make the claim during a stump speech. He was skeptical of it so he checked it and, lo and behold, found it to be true. Spending dropped from $3.6 trillion in 2011 to $3.54 trillion in 2012 to $3.45 trillion in 2013. It was the first time spending was cut in consecutive years since 1953-55. The deficit has been cut to $500 billion which is less than half of what it was when the Democrats controlled everything in 2010, says Kengor.